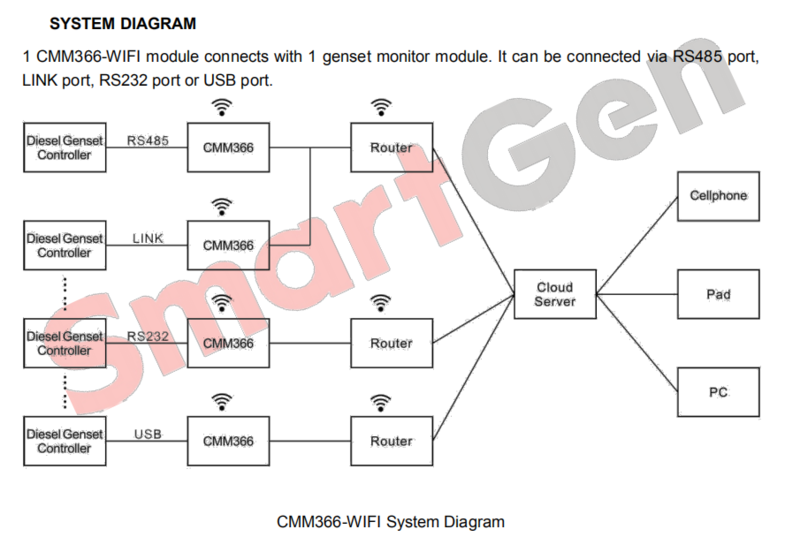 CMM366-WIFI Cloud Monitoring Communication Module is WIFI wireless network communication protocol switch module which can achieve genset (with SCI) connect to Internet.Then the module transmits the data to corresponding cloud server via WIFI wireless network for achieving user’s real-time monitoring to running status and searching of running records via APP (IOS or Android) and PC terminal devices. 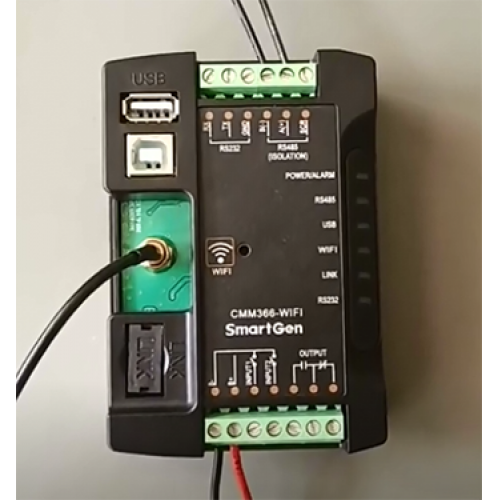 CMM366-WIFI Cloud Monitoring Communication Module is WIFI wireless network communication protocol switch module which can achieve genset (with SCI) connect to Internet. 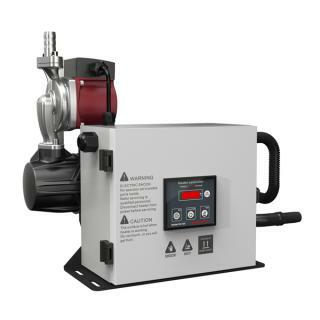 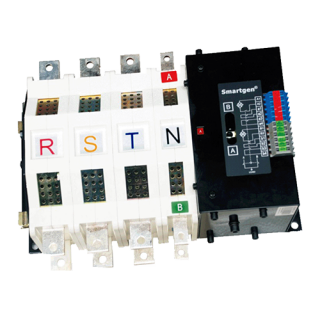 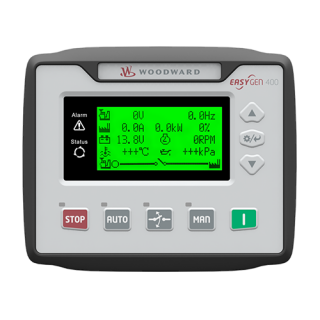 The module obtains genset data via RS485 port, USB port, LINK port or RS232 port of genset controller modules of international first-class brands including SmartGen, DeepSea, ComAp, etc. 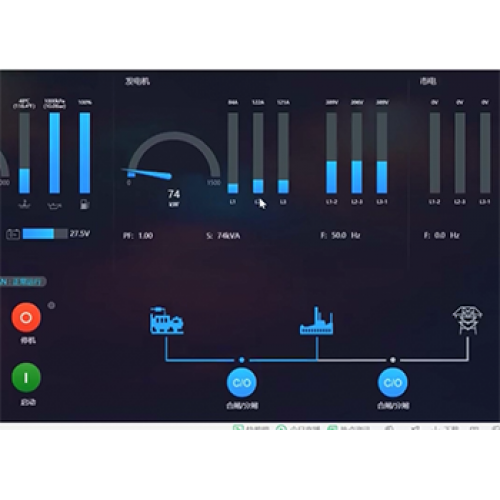 Then the module transmits the data to corresponding cloud server via WIFI wireless network for achieving user’s real-time monitoring to running status and searching of running records via APP (IOS or Android) and PC terminal devices. 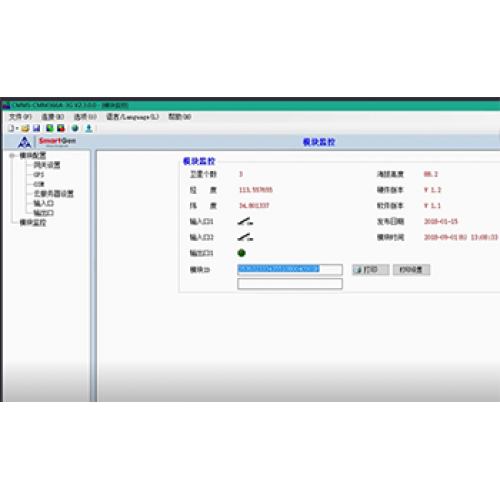 CMM366-WIFI module has already integrated protocols of mainstream genset control module. 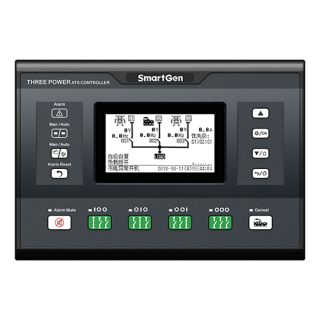 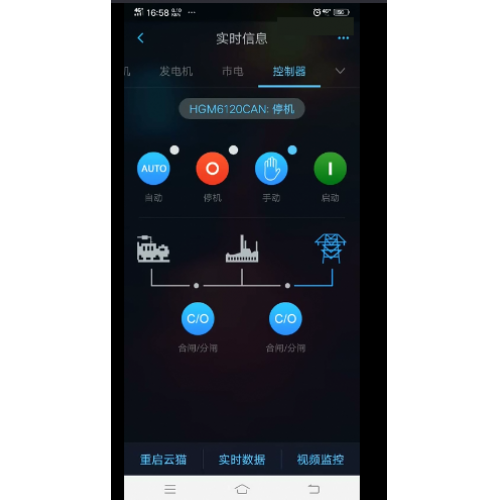 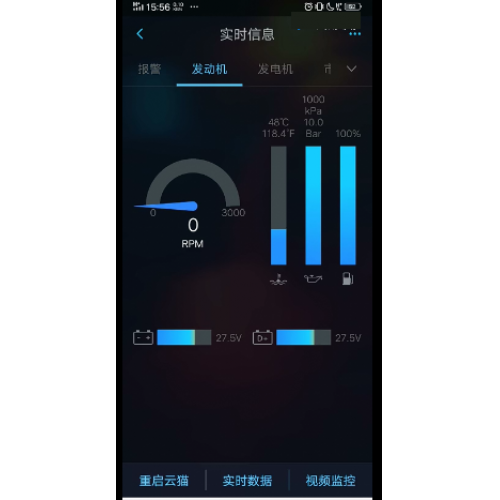 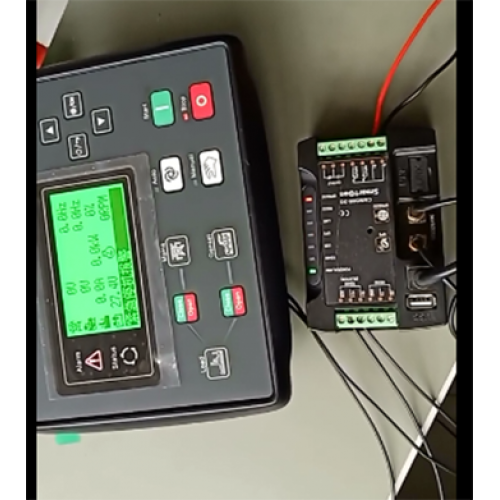 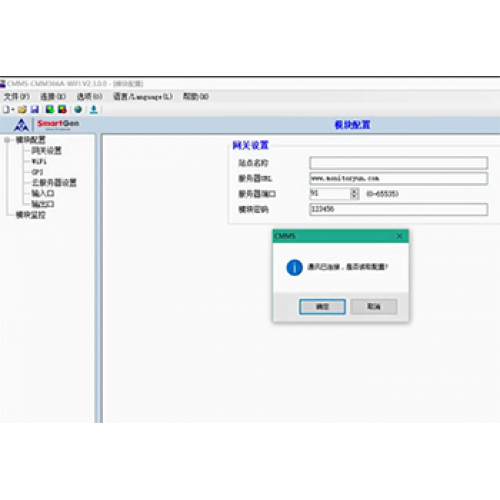 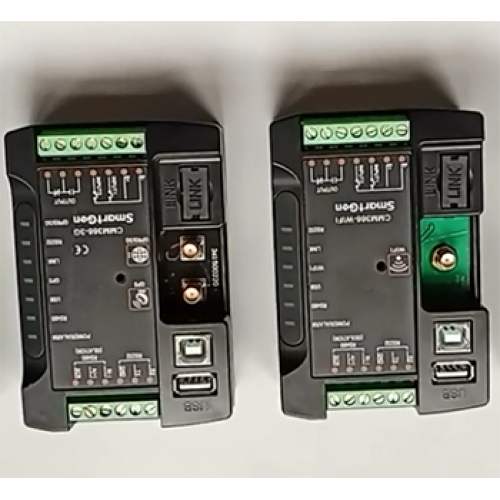 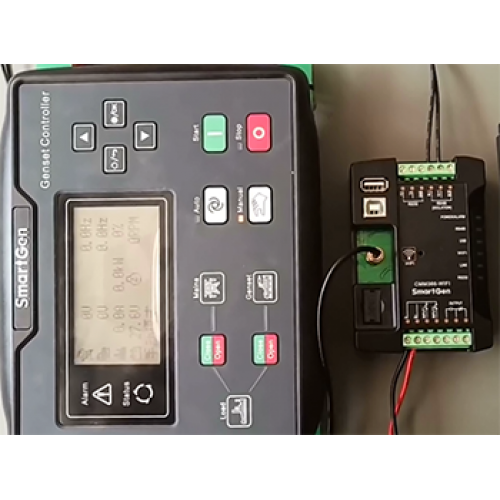 It not only can monitor genset but also can receive some digital alarm input/output signals to achieve monitoring of generator room entrance guard, guard against theft and fire facilities.